I'm seeing reports of Christmas trees going up in shopping centres and the jingle of Christmas music playing in the malls. And it's still September!!!! CRAZY!!!! But ... it's not too early to start your Christmas stitching!! 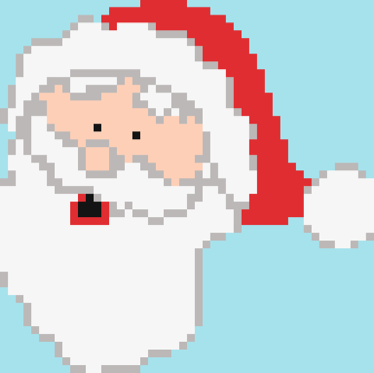 We have a Santa pattern that is perfect for the silly season. Pattern available for purchase. Just click here! 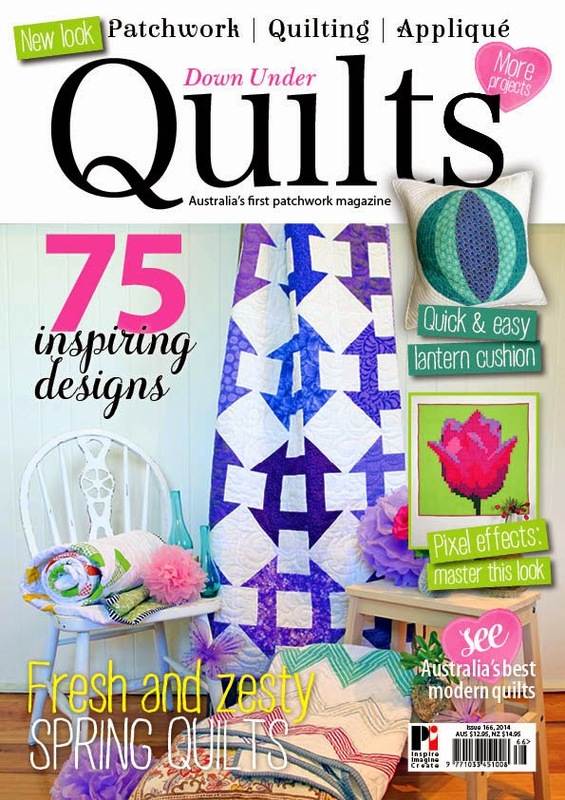 Congratulations to Anne from Sew Little Time who has won a copy of this month's Down Under Quilts magazine. I have sent you an email Anne! Aussie quilters will already be very familiar with Down Under Quilts. Well this much loved magazine has just gotten even better with a new look!! This month's issue (the Spring issue) will be in the shops this Thursday with a fresh new feel. As usual, the magazine will be available in Newsagents but will now also be available at Coles stores!! 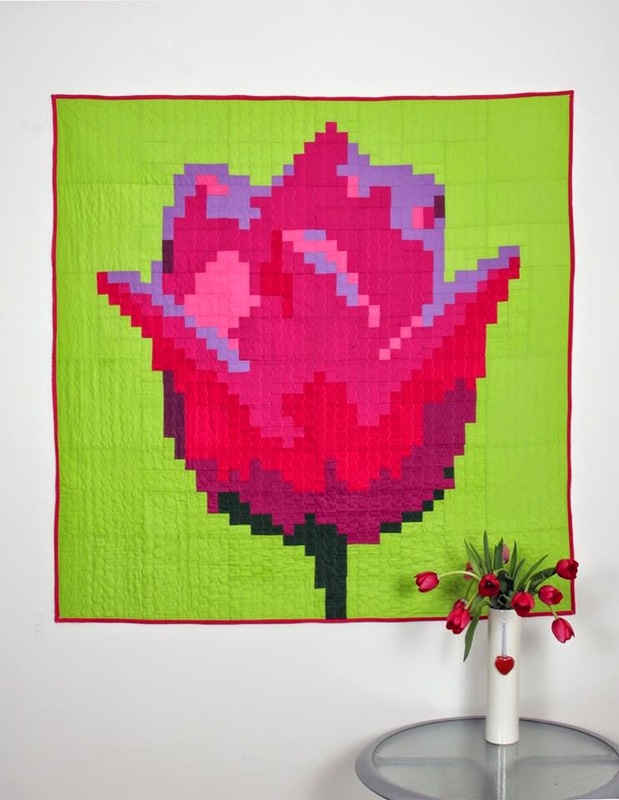 We are very excited to have a YouPatch pattern in this Spring issue .... a gorgeous pixelated tulip! 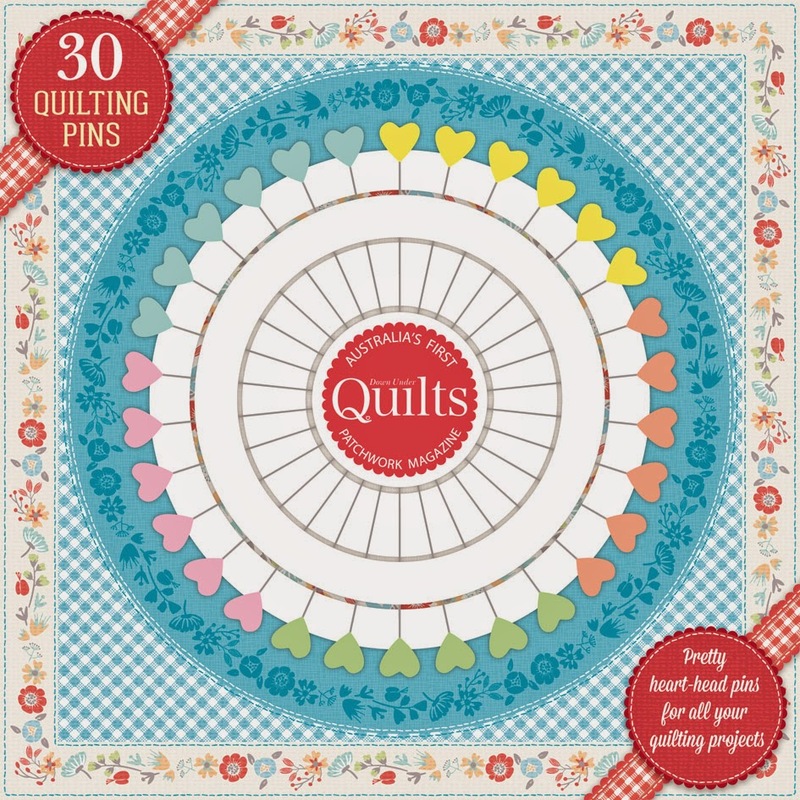 In addition to lots of gorgeous patterns, each magazine comes with a free wheel of pretty quilting pins!! Practical Publishing is offering a free copy of the magazine to one lucky PatchAndi reader (Aussies only for this one). You each have 3 chances to enter. Leave a comment on this post telling me what image you would like to turn into a pixel quilt. 'Like' the PatchAndi FaceBook page and leave a comment on this post to tell me about it. 'Like' the YouPatch FaceBook page and leave a comment on this post to tell me about it. A winner will be chosen at random next week on Wednesday 24th September. You can also win a free copy over at Anorina's blog: Samelia's Mum. 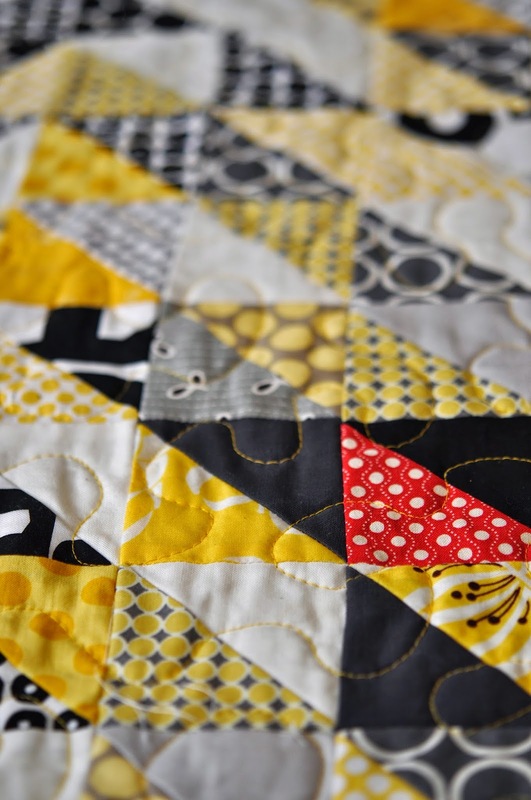 She's a fabulous quilter and also has a lovely pattern in this issue. Good luck to all and see you soon. Last weekend I took the plunge and shaved off my long hair for charity. Together with over 100 amazing sponsors, I managed to raise over $6000 for the Leukaemia Foundation of Australia. 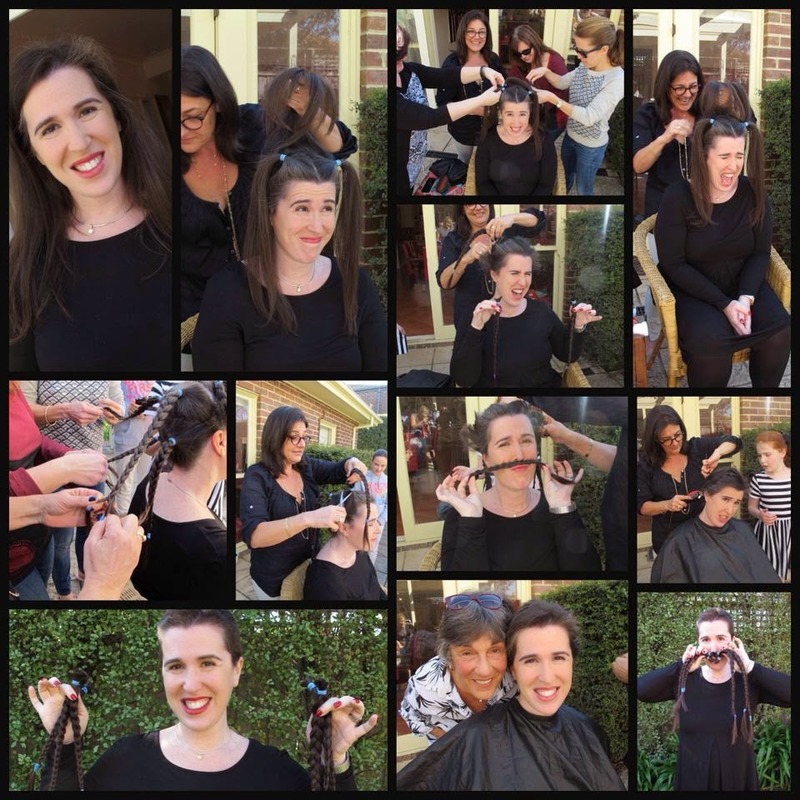 And I donated my actual hair to the Australian Alopecia Areata Foundation. I felt proud!! It feels good to have done something positive in a global environment where so much of the news is negative ... horrific even! Now I just need to keep my head warm until Melbourne's weather decides to be hot again. Sending positive thoughts and wishes to you and yours. My friend Matthew Broughton (www.mattbroughtondesign.com) is a graphic designer and a wonderful artist. One of his favorite techniques is lino cutting and he has recently produced a number of stunning lino cut prints with an Australian theme. Unfortunately, we have almost no wall space left in our house so I felt unable to buy any of his prints as I had nowhere to display them. So you can imagine how excited I was when he revealed that he would be printing his designs onto fabric to make into cushions. We have new couches at our place that have been screaming out for some new cushions. Everything fell perfectly into place. These cushions were printed at local bespoke fabric printers Frankie & Swiss and are beautiful quality. Check out Matthew's website to find out all about his work and to buy yourself some gorgeous artwork! !